The next panel is entitled, “The Practitioner’s Perspective:The Effect of Patent Non-Practicing Entities on Industry.” The panelists include Lee Cheng, Chief Legal Officer, SVP-Corporate Development and Corporate Secretary, Newegg Inc.; Robert D. Fish, Founding Partner, Fish & Tsang LLP; Ian D. McClure, Director, Intellectual Property Exchange International, Inc.; Congressman Dana Rohrabacher, U.S. Representative for California’s 48th Congressional District; and Nathan Shafroth, Partner, Covington & Burling LLP. The moderator is John B. Sganga, Jr., partner at Knobbe, Martens, Olson & Bear. The following is a partial description of the excellent panel discussion. The moderator, Mr. Sganga, posed several questions for the panelists. The first question is “has the trend of NPE suits peaked?” Mr. Shafroth noted that recent Supreme Court cases have “raised the barrier to entry” for new patent suits. He is surprised that the rate of decline is not greater. He thinks that one of the main reasons for decline includes: the Supreme Court’s Alice decision and the district courts' and the Federal Circuit’s interpretation of that decision. He believes that some companies are more selective in patent enforcement. Mr. Cheng noted that Newegg is not being sued anymore since Alice. He also noted that “it is the low, low, low hanging fruit that is eliminated.” He believes we still have problems with “imbalance” in the patent system. He notes it is less than $10,000 to get a patent, but the cost to eliminate it is huge—perhaps around $300,000. Mr. McClure notes that there are many patents with “nominal” value, but there is some “rearranging of business models” by nonpracticing entities. Those entities are attempting to acquire better quality patent portfolios—“aggregation is the game.” Mr. Shafroth noted there are other reasons for why there is a decline in patent suits. One includes damages decisions, particularly by Chief Judge Rader, which limit damages for patents covering a part of a component product, such as smart phones. Mr. Sganga noted that small companies and inventors may be hurt by these new developments. Mr. Fish notes that we need to distinguish between enforcement and extortion, and Vermont’s legislation moves toward that goal through focusing on “bad faith.” He believes “having the ability to sue through an NPE is critical” for some inventors and small companies with good patents that cover very good technology. They do not have the resources to enforce their patents. For business development, we need nonpracticing entities. Congressman Rohrabacher noted the purpose of the patent system, but notes that “major multinational corporations are trying to change the discussion” away from the fact that a “property right has been stolen.” He expressed a lot of concern for small corporations and “crony capitalism.” Mr. Cheng stated that there are many “myths” surrounding the patent debate, including “that the patent act [helps] the little guy.” He noted that patent rights are “property rights,” “but that not all property rights are created equally.” Mr. Fish noted that some of the problem concerns “allocation of risk” and that there is litigation insurance. These are just costs of doing business. Mr. McClure noted that 96% of companies are relatively small. He further noted that ascertaining the value of patents is difficult and expensive. He thinks that NPEs helpfully create information concerning patents and that more information about patents is helpful. He thinks that crowdsourcing of prior art is a good idea. Congressman Rohrabacher states a patent represents “hard work” and is against taking away the chance of “treble of damages.” Mr. Fish noted that “things have gotten out of hand,” but many developments are moving toward restoring balance, such as Alice and a focus on patent eligibility early and some districts requiring very early claim construction. Mr. Cheng believes we should examine “abusive behavior” as opposed to status. No one on the panel thinks that enforcement of quality patents is a problem. The full discussion is available via webcast here. Andrew Byrnes, Chief of Staff, United States Patent and Trademark Office, was the lunch and keynote speaker. His speech was entitled, “Standing Sentinel Over Innovation: The Importance of a Balanced and Effective IP System.” The following is a partial description of his thoughtful speech. Mr. Byrnes noted the growing economic significance of intellectual property—accounting for 20% of American jobs. He asks the important question: “How do we know if we are standing sentinel over innovation or just standing in the way?” He noted that, as President Obama did in a Town Hall on Innovation, we need a balanced IP system. He notes that patent litigation expenses are high and the asymmetry of litigation expenses push the accused infringer toward settlement. Some of the other costs include the “risk of disrupting relationships,” “risk of patent counterclaims,” “discovery burdens and costs,” and availability of attorney fees. He states we need to change how we think about the problem. 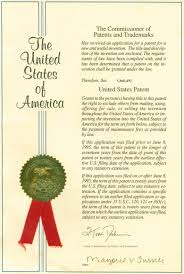 We should not think about “Who is the type of patent holder; How does the patent holder intend to use the patent”; and “What is the type of accused infringer.” He thinks the question is does the system stop “abusive behavior.” He states that the USPTO is thinking about these issues—not only issues associated with procurement of patents. He reviewed legislative, judicial responses, and administrative actions, and noted that we have to look at the “entire landscape” concerning the problem. He noted that the USPTO is “committed to quality.” Interestingly, he noted that “quality” includes an analysis of whether the system “encourages innovation.” Some of the initiatives at the USPTO include: “improved patent claim clarity,” including a glossary pilot system; “expanded technical training for examiners”; “greater international harmonization to lead to more certainty for American inventors;” “prior art crowdsourcing;” “IT improvements;” and “Pro bono & pro se assistance.” He also noted that the UPSTO is “ramping up its patent quality team” through a new “Deputy Commissioner for Patent Quality,” who has recently been named. Finally, he stated that the Patent Trial & Appeal Board has a large role in improving quality through the new AIA post grant proceedings. He stated that they are “faster;” “more efficient;” and “less expensive” than district court litigation. For fiscal year 2014, for inter partes review, there were 557 trials instituted. He noted that the PTO is “calling balls and strikes.” Some patent claims are upheld and some are struck down. He stated that the USPTO goal is to hire 60 more administrative judges in fiscal year 2015. Finally, he discussed “promoting American business abroad” and noted that “80% of [the world’s purchasing power [is] overseas.” He stated that the PTO is working on “support[ing] trade negotiation” and supporting work towards “new trade agreements, e.g., Trans-Pacific Partnership.” The USPTO is also working on engaging stakeholders through education and outreach. Mr. Byrnes' full presentation can be found here. (1) . . . expanding on the scholarly debate surrounding patent trolls; (2) by expanding on the perspectives informing this debate beyond academia by inviting the views of practitioners from both sides of the patent troll divide; and (3) by expanding on the scope of this topic by considering the nature and possibility of copyright and trademark trolls. I am blogging the conference and here is a partial description of one of three of the panels. I will also post partial descriptions of the keynote speaker’s address and the second and third panels soon. For more information about the speakers and the symposium, please use this link. Webcasts of the complete symposium discussion can be found at that link as well. The symposium was organized by Professor Samuel Ernst and the Symposium Editor for the Law Review is Rachel Baker. The first panel is titled, “The Scholar’s Perspective: Theories of Patent Trolling.” The panelists included Robin Feldman, the Harry & Lillian Hastings Professor of Law and Director of the Institute for Innovation Law at UC Hastings College of the Law in San Francisco, California; Brian L. Frye, Assistant Professor of Law, University of Kentucky College of Law; Ryan Holte, Assistant Professor of Law, Southern Illinois University of Law; and Amy L. Landers, Director of the Intellectual Property Law Program and Professor of Law, Drexel University Thomas R. Kline School of Law. The moderator was Professor Samuel Ernst, Chapman University Fowler School of Law. The first panelist to participate was Professor Feldman, who provided a thorough and thoughtful discussion of the patent troll problem and patent reform. Building on and referring to her earlier work, she discusses the Government Accounting Office data concerning non-practicing entities. She notes that the results of this study are similar to other studies, if you include those NPEs organized as trusts. She points to the problem that patent demand letters are very troublesome and account for most of the activity concerning non practicing entitles. However, she states that it is difficult to gather data concerning demand letters and negotiations because they are subject to non-disclosure agreements. She does point to some studies which shed some light as to what is happening with demand letters and subsequent activity that does not result in formal litigation. She outlines how there have been government responses to the nonpracticing entity problem and discusses the Supreme Court cases addressing nonpracticing entities, including the importance of the Alice decision. She looks to the future and notes that, “the rhetoric” is escalating, and expresses concerns about how the Supreme Court is being attacked as “political.” She notes that “in theory” monetization activities can have “positive ends,” but she thinks the way things are happening are not productive. She further notes that smaller firms may suffer the most. She advises turning down the rhetoric and working on the issues. Professor Landers asked a fascinating and provocative question of whether patents are the new bitcoin. She notes that patent monetization and patent markets have the potential for “positive change,” such as increasing collaboration internationally in research and pushing funds to research and development. She notes that nonpracticing entities are acting rationally in our free market economy. She states that the problem with patents markets is that there is a “lack of agreement on price.” Thus, “there is a lack of transparency.” She makes the general point that there must be a valuation of the asset that is credible and transparent, and, in part, because we lack this there is essentially a “patent bubble.” If this “patent bubble” bursts, then the entire system is discredited. She further notes that “a lack of comparables” exist in patent markets similar to bit coin. She also points to “nonproportional responses” as “policy bubbles” discussed in sociological research, that may not provide the benefits that may be expected by stakeholders and the public. One example she gives is appointing a czar to address problems. She notes there is not a “widely accepted” way to value patents – there is “a lack of a fundamental understanding of how patents are priced.” She notes that the “price of litigation has nothing to do with the value of the patent” and that this is a fundamental problem. She further notes the problem with royalty stacking. She proposes that we move “toward industry accepted norms for rates” and that we exercise caution with how royalty rates are set in the future. Professor Brian L. Frye insightfully stated that metaphors obscure the problems associated with intellectual property problems. We use many metaphors to describe the scope of intellectual property, such as “sweat of the brow” or “thieves” or “bootleggers.” And, finally, “trolls”—entities that may abuse their rights. He suggests that dropping metaphors is a good idea for understanding intellectual property, particularly directed to IP concerned with efficiency justifications. He points out that the problem is poor patents and the troll metaphor obscures that discussion. When it comes to brand placement, it is not easy these days to be in the middle of your product segment. This was graphically brought home this week in the announcement by Apple that disclosed profits of $18 billion dollars, reportedly the single largest quarterly profit in corporate history. To a large degree, Apple’s success was due to the popularity of its iPhone 6, which has become the hands-down winner in the premium sector for smartphones. By contrast, Samsung announced another dismal quarter for smartphone revenues and faces the likelihood that Apple will recapture the lead in the overall number of smartphone sales. Samsung is staring at the dire prospect of being sandwiched between Apple at the top end, and a number of Chinese and Indian competitors at the low end of the smartphone market. In a world where the middle class is being hollowed out, being mid-market with your product is an alarming prospect. But the danger lurking in being in the middle of your market is not limited to high profile products such as the smartphone. Something similar is happening in the market for baby diapers (“nappies” to those of you on the eastern side of the Atlantic), a product close to this grandfather’s heart. According to a report last week in Reuters, “Diaper wars: Kimberly to take on P&G through innovation, higher ad spend”, Kimberly-Clark, the well-known US personal care products company (think Kleenex tissues), faces a similar problem as it competes in the diaper market with its even larger competitor, Procter and Gamble (“P&G”). The problem for Kimberly-Clark is that P&G has come to dominate both the premium and down-market segments of the diaper market, the former with its Pampers brand and the latter with its Luv brand. As a result, the market for diapers seems a lot like that for smartphones, at least for those in the middle. Thus consumers, aka mothers, of diaper products are increasingly opting for either premium or down-market brands, while Kimberly-Clark’s competing product is the mid-tier Huggies brand which, in a word, is a diaper product “without a real identity.” Put in dollars and cents terms, Huggies is the principal source of Kimberly-Clark’s $7 billion in annual sales in its baby care products business. 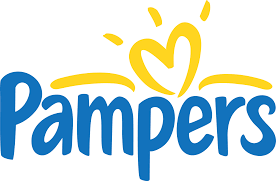 By contrast, the Pampers brand itself brings in revenues of over $10 billion for P&G. As for the Luv-brand diaper product, the Wal-Mart website showed the lowest-priced mid-tier Huggies Snug & Dry 44-pack for a newborn at $8.97, while the price of the comparable P&G's 48-pack of Luv diapers is $6.99. In response, Kimberly-Clark would seem to have two possibilities, both of which involve moving beyond the mid-market segment for diapers. 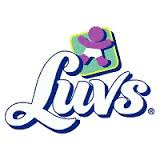 It can try to market a genuine low-price competitor to the Luv’s line or come up with a feasible competitor to the Pampers brand. But how to accomplish this? At the low end, Kimberly-Clark can only cut the price of its Huggies product by such much. In tandem, the company somehow has to come up with an “improved” Huggies’ product at a lower price point, in effect to offer consumers “more for less”. In other words, in order to extricate itself from the ever-shrinking middle of the diaper market, Kimberly-Clark faces the daunting challenge of ramping up R&D and innovation to come up with diaper products that can compete both at the low end and the high end, as well as to ramp up advertising and promotional spending in support of these products. It is estimated that these efforts will cost Kimberly-Clark $500 million dollars. Once again, in dollars and cents terms, Kimberly-Clark expended approximately $3.71 billion overall on marketing and research in fiscal 2014. By contrast, P&G spent $9.73 billion in 2013 just on advertising. All of these efforts, to remind you, are directed towards moving Kimberly-Clark out of the middle of the product segment. True, the company may have has little choice (Kimberly-Clark saw at 6% drop in its shares last week). However, one wonders to what extent a company can simply decide that it needs to innovate more (and in a hurry) to better compete in the marketplace, and to make good on its strategy. One would have thought that innovation is an ongoing aspect of company life. Branding compounds the challenge: if Kimberly-Clark succeeds in coming up with “more for less” so it can compete at the low end, it will then need to reposition the Huggies brand accordingly. How exactly does one move a brand from the middle to a down-market segment? The alternative is to come up with a new brand identify for the down-market product, but that presents its own set of challenges. The same will hold true if Kimberly-Clark also seeks to launch an up-scale diaper product under a new brand name. The upshot is that while a commitment to R&D innovation and branding support both seem worthy goals, the likelihood of success is far, far from being assured. Tax fiddle? No, tax relief for fiddlers! Her Majesty's Treasury issued a media release last Friday which will be good news for performers of music and those who organise them commercially. The media release, Tax relief to support Britain's world-class orchestras, announced the launch of a consultation, Orchestra tax relief, on proposed tax relief for orchestras that are UK registered companies which are liable to pay corporation tax. The proposal is modelled on theatre tax relief, which was introduced last year. meaning to the words "tax band"? Qualifying orchestras (which should be engaged in producing live orchestral performances, thus excluding studio orchestras) will enjoy an additional corporation tax deduction which can be surrendered for a payable tax credit. While integral costs for to the creative process and production (eg player fees, rehearsal costs, venue hire) will attract the relief, indirect expenditure such marketing or financing will not. Nor will ordinary running costs. A higher rate of credit is proposed for touring performances (defined as playing in three different venues within two weeks). 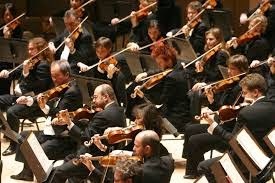 Orchestras may group multiple performances in one claim and more than half of their performances must be played by at least 14 performers drawn from defined orchestral sections. Comments on this proposal should be made by the stipulated time of 11.45 pm on 5 March 2015. Assuming that all is well, further details are expected some time in the spring of this year and the relief is due to kick in on 1 April 2016. Heads up - HMRC is consulting improvements to the radically underclaimed R&D tax credits for SMEs. They're looking at how to promote awareness of the credits, the design and understanding of the rules, and - most importantly in my view, the new advance assurance process. One of the main stumbling blocks to claiming the R&D credit has been uncertainty about what does and doesn't qualify: most people seem to assume you need to be doing something that involved a long and complicated chemical name, but it's much wider than that. The advance assurance process is intended to enable SMEs to get confirmation that their R&D qualifies ahead of time, rather than putting a claim in and hoping for the best. activity in New York, the fact remains that successful technology IPOs emanating from New York have been few and far between. How few and far between was brought home last week in a report that Etsy (located in what is called the Dumbo neighbourhood of Brooklyn) is preparing for an IPO some time as early as Q1 2015. The company is reportedly seeking to raise up to $300 million. The last time that a tech company from the New York area raised such an amount was during the dot-com bubble of nearly 15 years ago. Etsy offers a website that enables people to sell both handmade crafts and vintage goods (think of a 1957 turquoise Royal Quiet De Luxe typewriter). As such, the company can be said to engage in the craft niche of the e-commerce space, where 800-pound gorillas in the form of Amazon.com and Alibaba enjoy a pre-eminent position. Approximately 26 million items are listed for sale on the Etsy site. Its revenues derive from a 20-cent charge for sellers to list products and it takes a 3.5% cut from each item sold. It also earns sums from advertising and payment processing. The report states in 2013 the company posted $1.35 billion in gross merchandise sales, and it is presumed that this figure was greater for 2014. There is something quite extraordinary in the fact that New York seems to be a wasteland for generating tech companies with significant IPO potential. One only has to compare this (lack of a) track record with the oversize IPO success of Israel, which continues to create hi tech companies that attract public funding. The question is—why? A piece by Jeremy Quittner, “A Tale of Two Cities: Why Silicon Alley Isn’t the Next Silicon Valley (Yet)”, which appeared last year on Inc.com, offered some thoughts. 1. “NYC is a strong market for advertising technology, financial technology, some commerce, and a few other smaller segments, but it's not aligned with where most venture dollars are going these days," quoting Dave Zilberman, a partner at Comcast Ventures who moved about from New York to Silicon Valley. 2. Zilberman pointed to software as a service, cloud computing, network and computer security and enterprise computing a start-up areas attracting big money. It seems that New York is not strong in any of them. Recall that Etsy Crafts itself is a niche e-commerce site. 3. Culture was also mentioned. Again, quoting Zilberman, “Silicon Valley has a stronger culture of risk-taking than New York City. It's simply a function of people with the right skill set and risk tolerance to work for a startup." 5. As observed by says Ross Fubini, partner at Canaan Partners in Menlo Park, California, "Innovation and creating great companies is all about the people--and Silicon Valley is special in that regard, because of the number of entrepreneurs, investors, engineers, and the culture that come together in a uniquely effective and creative way." In light of Quittner’s piece, the obligatory question is—can New York ever change the situation? Most certainly the issue continues to be raised and many in New York wrestle with the problem. All those engineering graduates from Berkeley and Stanford certainly give Silicon Valley a leg-up, but New York is still a magnet for creative and ambitious types. Nevertheless, whether that is enough to ever create an environment ripe for successful establishing tech companies with notable IPO potential remains an open question. The U.S. Court of Appeals for the Federal Circuit affirmed two large patent damages awards recently. The first case is Stryker Corp. v. Zimmer (December 19, 2014), a decision authored by Chief Judge Prost, which affirmed a jury verdict of $70 million in lost profits. The decision did reverse an award of treble damages for willful infringement. The second case is another Chief Judge Prost opinion, Bard Peripheral Vascular v. W.L. Gore and Associates (January 13, 2015), which affirms a finding of doubled damages for willful infringement from $185,589,871.02 (jury verdict) to $371,179,742.04. That is quite a win for former federal appellate court judge and Stanford Law School professor Michael W. McConnell, also of counsel for Kirkland and Ellis. The Cost to Develop a New Name for a Product: $3,000 to $75,000? In a recent entertaining and informative article, The Weird Science of Naming Products, by Neal Gabler, published in the New York Times Magazine (January 15, 2015), Mr. Gabler discusses the process of choosing a name for a new product or service for a technology company in Northern California. Notably, the article discusses the process of choosing a name by brand guru Anthony Shore. Mr. Shore has created names such as Soyjoy and Yum!. The article also describes the results of a study on the relationship between sounds of different words and emotions, and the use of that research to develop brands. The article spends about a paragraph noting the importance of trademark law and the impact of preexisting marks. Interestingly, the article does not discuss consumer studies of the potential names for products. It notes that it costs about $3,000 to $75,000 US to develop a name, but tens of millions to establish the name in the marketplace. Does that cost sound about right? It seems low to me. Any other estimates for the cost to develop a name? Intellectual Property is a critical strategic asset for corporations. But there are enormous differences in the value of IP stemming from the ecosystem that supports commercialization of the IP. What are the elements of the IP ecosystem? Can they be modelled and measured? The answer is yes [though "Can they be accurately and meaningfully modelled and measured?" might not attract a consensus of affirmative responses, this blogger thinks]. This talk will introduce basic concepts about how to model, measure and maximize the potential of IP through a sound broader ecosystem of intellectual capital (IC). There are two speakers: Dr Ken Jarboe (founder, Athena Alliance) and Mary Adams (founder, Smarter-Companies). If you plan to register for this webinar, which appears to be free, just click here. The webinar ID is 106-652-203. Is it just me, or are patents now a mainstream business issue? Last week’s announcement by Toyota is a perfect illustration of the trend. They have proudly announced that more than 5,600 fuel cell and related patents are available for royalty-free use. There is no absence of detail: 1,970 patents related to fuel cell stacks, 290 are associated with high-pressure hydrogen tanks, 3,350 cover fuel cell software and 70 govern production and supply. This is fascinating stuff, and it is the same genre as Tesla's open sourcing of its battery patents. The commercial backdrop of both of these announcements is exactly the same. How do you persuade industry to enhance new technology? Both Toyota and Tesla know that there is no future for hydrogen or battery powered cars unless there are (a) lots of cars and (b) requiring refilling stations. This is familiar territory and heralds the development of new standards. These standards will either be free (such as Bluetooth and W3C) or royalty-bearing (the FRAND licensing associated with ETSI mobile standards). In the context, Toyota may not have had much choice. If battery technology is to be available royalty-free, could hydrogen fuel cell technology really be royalty-bearing? What is just as interesting as Toyota’s announcement was that it was made in its flagship CES 2015 presentation. 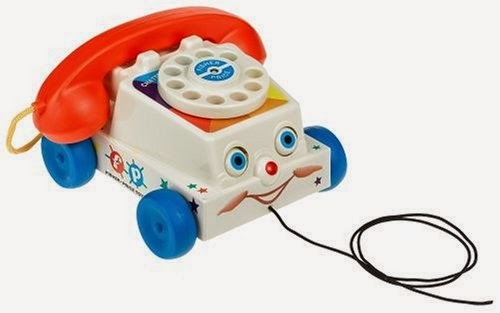 Looking through other CES announcements highlights the technology theme. There are almost as many announcements from Google, Nvidia and Qualcomm as from Audi and VW (focusing on self-drive and gesture-controlled vehicles). For the automotive sector, the way the way forward is clear. Cars are now pure technology play. As one analyst reported, cars are transforming into "phones on wheels". There are many other sectors that are following suit. Samsung’s focus at CES was on the internet of things and sweeping statements that, in the next two years, 90% of their devices will be part of their “internet of things strategy”. The future looks highly similar for banks where online and mobile is changing everything. If technology is really taking over all aspects of our lives, it is no surprise that the intellectual property issues and tensions that have dominated the horizon for mobile phones and tablets (the so-called patent wars) will soon spread into other sectors that have to this point not had to concern themselves with patents. Times are certainly changing and any company that does not have an IP strategy as part of its business strategy is going to be significantly disadvantaged. No reader of this blog is likely to argue with the proposition that a business shorn of IP policy will be disadvantaged. 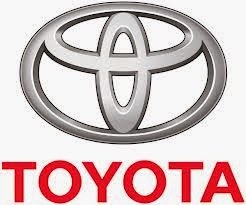 However, there is plenty of room for discussion as to whether Toyota's decision is the correct one and, if it is, whether its impact has been diminished by the sudden drop in oil prices. Comments? Footnote: there's a handy and accessible Aistemos Cipher snapshot of the fuel cell patent landscape that you can peruse here. 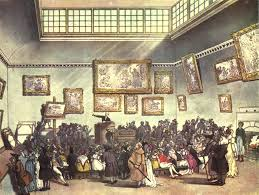 The public patent auction: will it be more successful this time? In fact, the announcement had been made on October 6, 2014, in connection with the annual meeting of the Licensing Executives Society, but I seem to have missed it. Thanks to IAM, I took the opportunity to read the entire news release in connection with the announcement, as it appears on the Ocean Tomo website. The following points made in the release are of particular notice. All of this is well and good. Still, I find myself asking wondering whether Ocean Tomo will be any more successful in establishing the patent auction concept than they were the first time around. This is so against the backdrop of a gnawing sense that the perception of patents as an asset class continues to decline. Consider the headline in the January 8, 2015 posting of IPCloseUp “A few IP stocks shined in 2014; most declined, some significantly”, this despite the ever-increasing stock market prices that characterized the equity markets in 2014. Further, the request by prospective buyers for quality rather than quantity with respect to the patents to be offered , suggests that in some instances, patents of dubious value were being put for acquisition the last time around. It will be interesting to check back next January and see how this reincarnation of the public auction for patent has fared. Corporate venture capital: is it good for start-ups; is it good for patents? Think venture capitalists and you conjure up private companies, looking for that next investment that will ripen into a mega-exit or IPO. This world has had its ups and downs, it supporters and its critics, those who yearn for the patient family money of thirty years ago and those seek oversized returns in as a short a time period as possible. 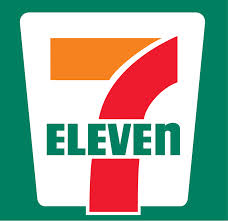 There is another VC world, however, removed, some would say far-removed, from that of private VC funds, residing as VC units of established companies, ranging from the hi-tech Olympus that is Intel to the Asia-conquering convenience store chain that is 7-Eleven. The current status of these corporate venture capital units was well-summarized in an article that appeared in the November 22, 2014 issue of The Economist, entitled “If You can’t beat them, buy them”. The sheer number of “corporate venture” units tells a tale of increasing interest by the corporate sector. In the past five years, the number of such corporate investment units has doubled to 1,100. Over 80% (namely, 25 of the 30 firms that make up the Dow Jones Industrial Average) currently support a corporate venture unit with the company. Aggregate investment by these corporate venture units for 2014 was $6.4 billion dollars as of the end of November 2014, marking an increase of over 60% from the level of investment that took place in 2012. Further, 18% of all the venture-capital deals that took place in the U.S. as of the end of November 2014 involved a corporate venture unit. So what is the motivation driving these corporations to establish a corporate venture unit? According to the article, it appears, depending upon the particular company, that it is either a result of less than stellar results in home grown R&D (no “not made here” syndrome) or an increasing fear of disruptive innovation by nimble ups-starts. Regarding the former, the article notes that such companies “are looking for quicker, cheaper and better sources of innovation than R&D, which often disappoints.” As for the challenge posed by disruptive technologies, the piece observes that “[s]etting up VC arms is a way to identify life-threatening changes to their business early so that they can adapt or better yet, get in on the act.” In addition, companies also invest in start-ups connected with the company’s main businesses rather than straying into novel fields. For example, IBM has set up a fund to of $100 million to invest in start-up companies that use the technology of Watson, a computer that communicates in colloquial language. Notably, there is no mention of exits and other measures to cash in on one’s VC investment. If this in fact is the case, this flourishing of corporate venture units represents a notable alternative to the private VC fund. (iii) are the companies subject to private VC and corporate VC funding comparable (for example, are there systemic differences between the types of start-ups which are being funded). Irrespective of a more granular reporting of this analysis, this data point does re-open the question of whether we are doing a proper job determining the relationship between VC funding of start-ups and patent activity. That in itself is worthy of further sustained attention. The US-based Washington Post included an article on Jay Walker's ideas to shake up America's approach to patents. For those of you unfamiliar with Jay Walker - he is the founder of Priceline.com and also holds an impressive portfolio of e-commerce patents. Any company active in the e-commerce space, at least in the United States, is likely to receive an invitation to licence the portfolio from Walker Digital and has a number of patent infringement suits pending against major companies. Jay's idea is basically to set up a "utility" to act as a neutral party between both inventors of technology and potential licences. This does not seem to be particularly new, as a number of companies have tried this business model over the years and - to this author's knowledge - none has ever really succeeded in having a major success. More interesting is the proposal to be able to take a company's sales literature and run it agains the patent database to identify "adjacencies, opportunities, inventors and solutions". This approach is apparently involves using Big Data algorithms. Certainly the approach has worked for this author several times - he's identified licensing opportunities by searching patent databases to identify potential synergies. However, it's been a slog by a mixture of keyword search and patent classification tools. Anything to simplify the process would make things a lot easier. There does seem to be a lot of unused technology/patents out there, but reality is that most companies do not have or wish to invest resources in exploiting their otherwise unused technologies. There are simply too many other opportunities on which their employees can work and so hunting for potential licensees rarely takes any priority - although there are some companies that have now set up special licensing units to carry out this work which are staffed by dedicated employees, as well as brokers who can help broker a deal. Ultimately any tool - such as Patent Properties (website here) that can lower the transaction costs involved in licensing technology and encouraging its exploitation can only be welcomed. It will be interesting to see whether the proposal is as good as promised on the Washington Post or merely another failed attempt to develop the potential interesting technology licensing market.